Q1: What is an A-Meet? What is a B-Meet? Relay Carnival? Divisionals? Q2: If I can’t make my practice group, do I still have to practice? Q3: How do I know if I’m swimming in a meet? Q4: What if I can’t make a meet? Q5: What is the “No Show Hall of Shame”? Q6: Where are the Meets? Q7: How do I get Directions to the Away Meets? Q8: When Do I have to be at a Meet? Q9: When will my suit arrive? A-Meets are Saturday morning meets, and B-Meets are Wednesday night meets. The A-Meets are the official MCSL meets, where we compete against the other 5 teams in our division. Some of these meets are at Somerset, some are at the opposing team’s pool. In general, the coaches pick the fastest swimmers for the A-meets, and all swimmers can swim in the B-meets. Exception: if you come in first, second, or third in an A-meet event, then you may not swim that event in the next B-meet. Most years we will swim 5 A-Meets and 4 B-Meets. Relay Carnival is a meet with all six teams in our division where we only swim relays. The coaches will post a line-up for the relay carnival. First place winners of the carnival go on to the All-Star Relays one week after divisionals. Divisionals is the championship meet for the division. It is the last meet of the season and the two fastest swimmers from each team swim in each event. Of course, the coach has to pick from available swimmers, so sometimes kids are surprised to find that they are going to Divisionals because faster swimmers are away. Yes! There are two practice groups every afternoon. The older kids practice from 4 to 5 and the younger kids practice from 5 to 6. However, if your schedule precludes you from practicing during your group, you should go to the other practice. The coaches will accommodate you. We have two types of meets – Saturday morning meets – A-meets, and Wednesday night meets – B-meets. 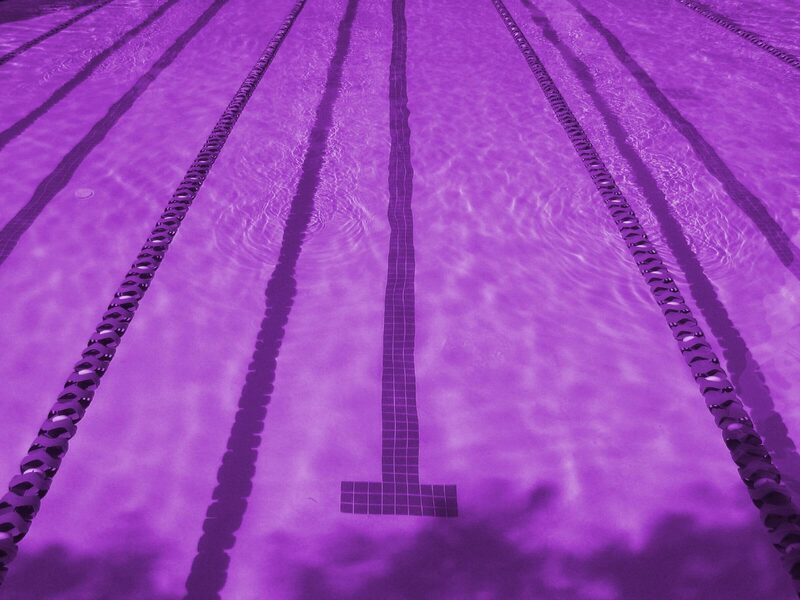 The Saturday morning meets have a line-up that is posted Thursday pm on the swim team website and/or on a bulletin board at the pool. Swimmers should check the line-up to see if they are swimming. Wednesday night meets do not always have a posted line-up. Swimmers may enter any event as long as they did not place first, second or third in that event on Saturday. All swimmers are encouraged to go to the B-meets. Times made at B-meets will help determine who will swim on Saturday. In general, the fastest swimmers swim at the A-meets. If you are on the line-up for a Saturday meet, you must notify one of coaches or one of the Team Reps if you can’t make the meet. The line-up is set and we are only allowed a few substitutions after it is sent in on Friday at noon. If you have a spot on Saturday and don’t show up, it is hard or maybe even impossible to fill that lane. If you wake up sick on Saturday, you should call one of the Reps that you can’t make it. Anytime after 6:00 am is ok to call! There is no line-up for Wednesday night meets, so it is not necessary to tell the coaches that you can’t make it. However, they do a lot of work to prepare cards for each swimmer, so it is a nice courtesy to tell them on Tuesday if you know you won’t be there. This is where we post the names of those kids who just don’t show up at the A-meet. Actually, there isn’t a “No Show Hall of Shame”, but it is really important that the coaches know if you are not able to make the A-meet. A missing child means that the lane may go empty. The rules for substituting are very strict. Some meets are at home and some are away. The away meets are all over Montgomery County. Directions to the meets are posted on the schedule or on the directions page. For B-meets, we try to carpool to the meet, leaving from the swimming pool. Saturday meets start at 9:00, but we have to be there early to warm-up. Away meet warm-ups start at 8:25. Home meet warm-ups are at 8:00. If you are not at a meet by 8:45, we will assume that you are a no-show and swim someone else in your spot unless you make other arrangements with the coaches. We are only allowed 3 substitutions after we put the line-up in on Friday, so please show up on time. There may already be three sick swimmers leaving us with no one to fill your lane. Wednesday night meets start at 6:00 with warm-ups at 5:00 or 5:30. These meets are more informal, so it is not critical to be there right on time. The suits are ordered from Sport Fair Inc. in Arlington, VA. They should be done by time trials. As soon as they come in, they will be at the front desk. If there is any problem with your order, contact them at 1-800-524-9501.